Spring and summer are just around the corner. If you're looking for a refreshing treat that will help you look and feel your best, look no further than a nutritious smoothie. 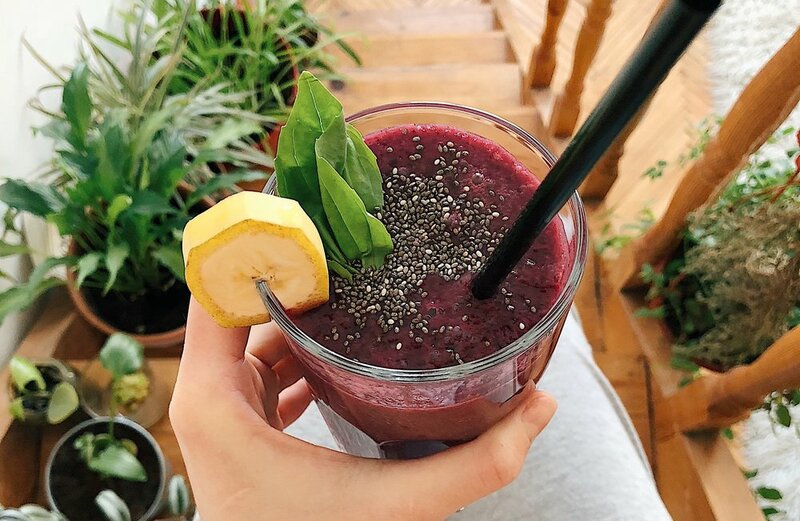 It’s true that smoothies can quickly become unhealthy if they’re loaded up with simple sugars without the protein and fat to balance them out. However, with the right ingredients, smoothies can be the perfect snack or meal replacement to fuel your day. So what’s the ideal formula for your power smoothie? That’s right! Smoothies aren't just for fruit. Try blending in nutrient-dense greens like spinach, kale, or arugula. If you’re in the mood for something more hydrating, opt for cucumbers or celery. If you want a creamier smoothie, add in avocado for some healthy fats. Fruits are a great way to incorporate natural sugars and plenty of vitamins into your smoothie. For a lower carb option, opt for berries like blueberries, blackberries, and raspberries. If you prefer a sweeter smoothie and a tropical twist, try mango, pineapple, or papaya! Add some protein into your smoothie to help stabilize your blood sugar and keep you feeling fuller for longer. You can find whey and plant-based protein powders at most health food stores Also try mixing in nutrient and protein powerhouses like chia, pumpkin, and hemp seeds for an extra crunch. Good news! Fat won’t make you fat. A healthy serving of fat from nuts or nut butters in your daily smoothie is great for the health of your brain and nervous system. If you're looking to boost your heart health, try 1-2 tablespoons of flaxseed oil for a dose of omega-3 fatty acids or scoop in some coconut oil to up your “good” cholesterol. Packed with nutrients, “superfoods” can take your smoothie to the next level. Raw cocoa will give your smoothie a nice chocolate flavor and plenty of antioxidants. Dates are also a great option for extra antioxidants, with the added benefit of fiber, potassium and natural sugars. Try a bit of ginger as well if you’re looking to give your smoothie a nice kick while helping to reduce inflammation and improve digestion. Last but not least, be sure to add in some water and ice until your smoothie reaches your desired consistency. You can even try coconut water for extra flavor and electrolytes. If you prefer a creamier smoothie, opt for a nut milk like almond, soy, or cashew milk, all of which are available at most grocery stores.